After returning “The Other Side of Me” along with other book, it is the time to borrow others! Well, I’m a wellknown bookworm (but it only applies to fictional books...). The books in Kerteh’s library seem to decline in numbers, these days (or, have I read most of them?). kalau ada Book Club kat Kerteh ni, I’m surely the president..hehe…it seems that Danielle Steel’s collection is huge here. I was quite surprise with myself. Why did I never have the intention to read this master of stroryteller’s books? Maybe it’s time to do it. 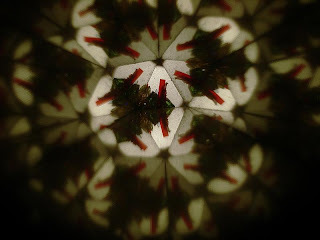 I picked Kaleidoscope. The introduction was good. The story revolves around 3 women. Solange: the mother, Hillary: the oldest sister, and Alexandra: the second sister. The first part, about the mother, was really interesting. When I reached the first daughter part, Hillary, only then, I knew why I didn’t like to read Danielle Steel. For me, when I read a book (story books laaa), I only want to read about a person’s story, or maybe 2 people story (needs two to tango, right?). But Danielle Steel, she likes to write about a family. From the day the character was born, till she gets granddaughters, some sort like that la. That really turned me off. Maybe she didn’t write all her books like that. But, after recognizing why I don’t really like reading her books, it is not fair to stop. I think I should give her credit for writing that book and just finish reading it. She didn’t let me down. It was still a wonderful story. Now, maybe I need to stop being skeptical to her. Maybe it’s time to add her name to my list of fav authors. Or was it because I am now a mature woman, love stories don’t matter anymore? Solange: During World War II, this French lady met a young American soldier named Sam Walker and they both fell in love. She left her country to marry Sam, who later pursues his dream to become an actor. Had 3 beautiful daughters, Hillary, Alexandra and Megan. She was murdered by her own husband during a fight. Her husband later killed himself in jail. Her daughters were separated. Hillary: The first daughter. She was 8 when her father killed her mother. Heard everything on that terrible nite. After being separated from her younger sisters, she kept a personal vendetta. She wanted to find her sisters but failed to do so. She led a very hard life. She later became a very tough woman. Alexandra: She was 5 on that terrible nite. Adopted by a rich lawyer family and they moved from America to France. She didn’t know she was adopted. She married an old man who marries her for her lineage. She was sweet and selfless. Megan's character wasn't really significant, but u'll know why when u read it. So, go and read it, people!